This year, when choosing the perfect personalized gift for employees, clients or potential new customers, consider one of our custom grills or customized grilling sets. 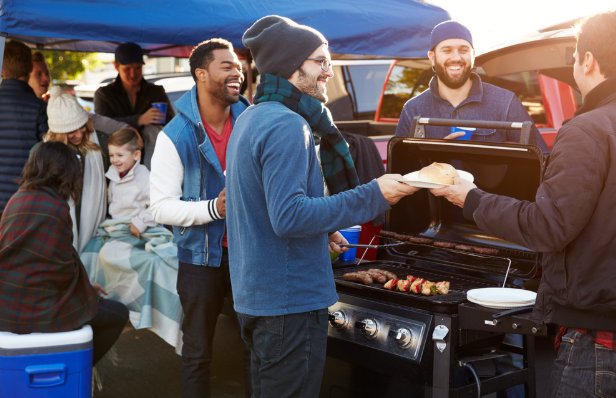 Despite what some may think, tailgating is a year-round event with plenty of dedicated sports fans venturing out in the cold for pre-game festivities. If your company plans a lot of team-wide sports or outdoor events, these grills make for the perfect item to promote your business no matter the season. Custom grills are a desirable giveaway item to promote brand awareness and get people excited about your company. Successful marketing campaigns often feature a well-made, high value item to attract attention and a custom grill definitely fits the bill. These personalized items work well for any kind of promotional event, whether your company is hosting or just attending. Stock up and run special giveaways throughout the year. Read on to learn more about our custom grill products and take notes on our favorite tips for tailgating in the winter. Versatility and high perceived value! A personalized gift is the best way to show someone your appreciation. Whether you’re considering custom grills as a company gift for the staff or you’re interested in running a giveaway on grills with your company’s logo, our high-quality products and excellent customization process will create exactly what you’re looking for in a promotional product. 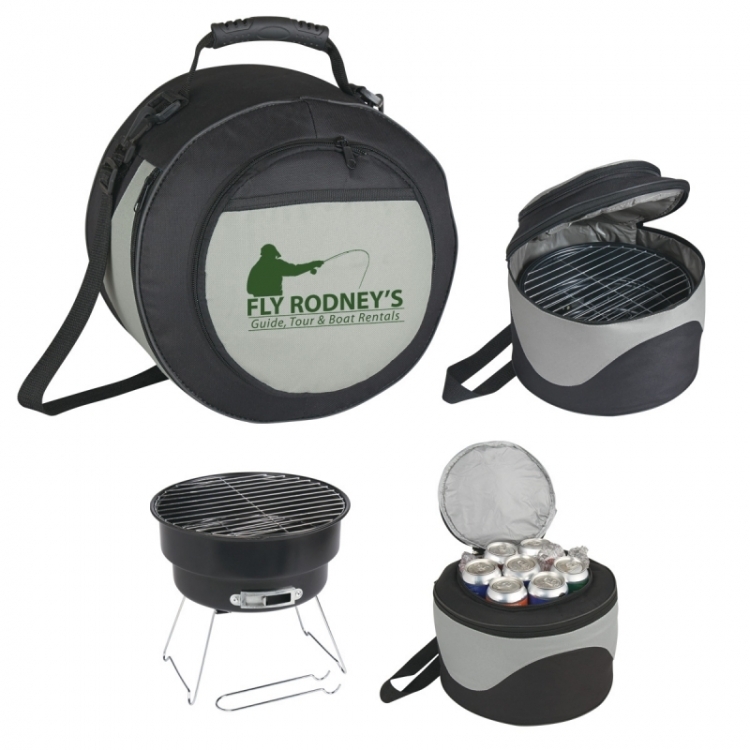 If a full grill set seems like too large of a promotional item for your business, you can also consider giving customized grill sets with all the accessories an outdoor chef needs to serve up a juicy steak cooked to perfection or grilled veggie kabobs with a delicious hint of smoky flavor. This portable custom grill is the ultimate product for sports fans with an insulated cooler top and easy-to-store grill rack inside. Perfect for a winter tailgate with friends, the grill is compact and light, making it easy to transport to and from the game. Order a set of 24 customized with your company logo and run a promotional giveaway with this useful gift. If your company is in the culinary industry, giving away customized grill sets is an excellent way to grab the attention of your target demographic. This three-piece set is sleek and easy to carry with you anywhere. 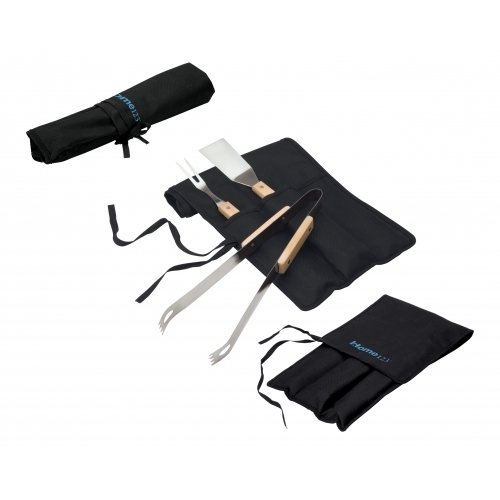 Design the fold-over carry case with your unique company logo and give away this handy set of tongs, fork and spatula. 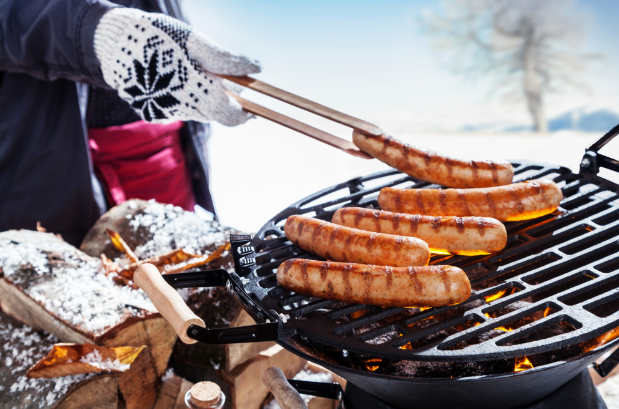 Though grilling outdoors is usually thought of as a warm-weather activity, there are plenty of opportunities for a winter tailgate, too—if you know how to prepare properly. Here are some of our favorite tips for grilling out in the cold, so you can enjoy these custom grills year-round. Invest in promotional tumblers, so you can bring warm drinks like spiked apple cider or tea with honey. Don’t forget your pop-up tent. In the summer, this tailgating accessory can protect you from the blistering heat of the sun, but in the winter, it may provide shelter from rain or snow. If you attach a blanket or sheet to one side, you can also combat the chilly winter wind. Bring along several packets of hand and foot warmers. Prepare the food at home prior to the tailgate. Having everything chopped up and marinated makes it much easier (and quicker) when grilling in the cold winter weather. Blankets! Pack the car with a generous number of blankets to keep you warm—and bring some extras just in case your friends didn’t come prepared. Looking for even more ideas on custom products? Pinnacle Promotions offers one of the widest selections of promotional items designed to capture the attention of potential customers and grow your company’s brand. Are you planning to attend a trade show this year? Then, you’re going to need to be prepared with giveaway items like koozies, pens and tumblers. If you’re looking for a promotional item that’s a bit more unique, we offer products by industry, purpose and even brand. Browse our expansive collection of items and add your company logo to any of our high-quality products.